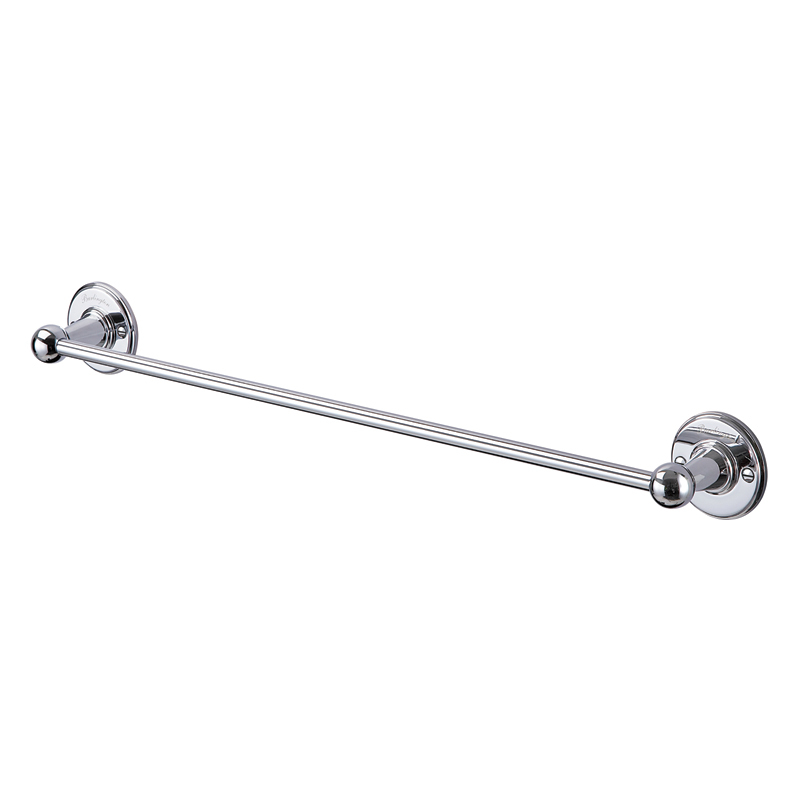 Burlington Bathrooms chrome single towel rail. Material: Solid brass bodies with hollow tube rail. Supplied with an extra chrome plated domed screw.